CBS just can’t seem to resist messing with its tech journalists. 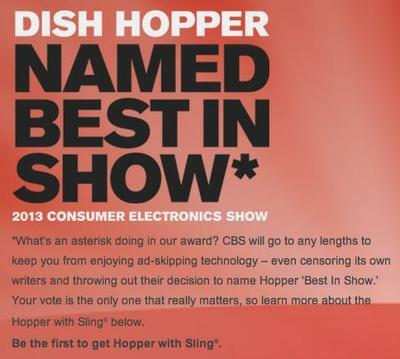 Earlier this month, when CNET chose Dish Network’s new Hopper with Sling for its Best of CES awards, the broadcasting powerhouse forced the editors to pull their selection due to corporate’s lawsuit with the satellite TV service provider. The move raised a stink, kicking up a ton of bad PR and leading to at least one senior editor’s resignation over the fiasco. Well, here we go again. Editorial integrity has taken another hit, as the mother ship has barred CNET from reviewing an offering from Barry Diller’s live-TV service Aereo, because of a lawsuit. 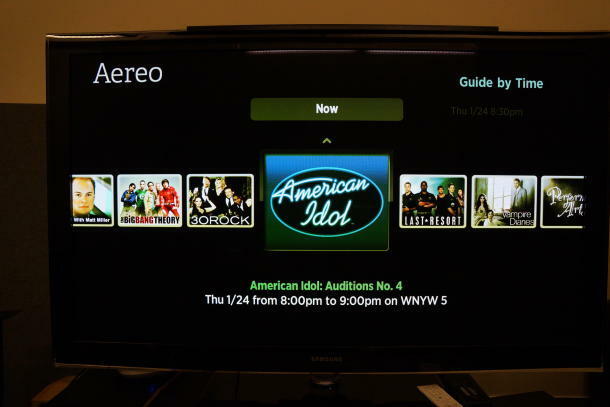 CNET understandably wanted to vet Aereo’s latest software update to its Roku app. The live-TV streaming service has a lot of fans, and the changes — which include a new interface and better channel navigation using the Roku remote control instead of the companion iOS app — could thrill those users. CNET ahd reviewed the previous version of the app, so it made sense to do a follow-up on the update. Unfortunately, these journos are prohibited from weighing in on it. All they can do — and did do — was post about the news and, interestingly, explain precisely why there would be no review. CBS, along with ABC, NBC, Fox, News Corp. and Tribune Company, among others, may well have justifiable grounds for suing Aereo, which provides streams of network broadcasts without permission. That, however, is a separate matter from how well the app works or what users can expect. The CNET editors would have been fully capable of maintaining their editorial standards — just like the other media properties owned by the other litigants. The Wall Street Journal, ABCNews.com, Chicago Tribune and others covered Aereo, even heaped praise on the service, despite their parent companies’ legal cases. In journalism, it’s common for publications, websites or broadcast outlets to be in the uncomfortable position of reporting on issues involving partners, advertisers and competitors. Disclosure is key in matters like this, and corporate execs usually know better than to rear their heads and shift around editorial to suit their interests. At least the best of them do. It’s a slippery slope. CNET may be a world-class operation with incredibly high journalistic standards, but it is on a precipice right now. The world is watching to see how it handles this meddling. Maybe there’s nothing it can do, except hope that CBS suddenly gets a clue and learns to step back before there’s any further damage to its reputation. Side note: Interestingly, the previous controversy wound up being a promotional win for Dish, as publicity got lavished on the Hopper with Sling. The company even gave itself the award it was banned from, posting the following on its website, which still stands today. So Aereo’s new Roku app could very well enjoy the “Dish effect” in the wake of this travesty, drawing more eyeballs than it would’ve otherwise. Unfortunately, it would come at the expense of killing CNET’s journalistic soul.